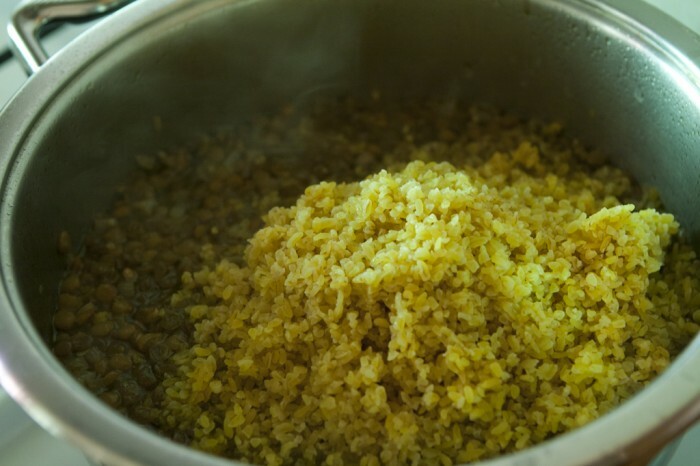 Mjaddara (Bulgur with lentils) is one of those dishes you can make even when your kitchen appears to be empty! All what you need to have is probably kept in your household. It’s no wonder that mjaddara is known as poor man’s dish among Palestinians. 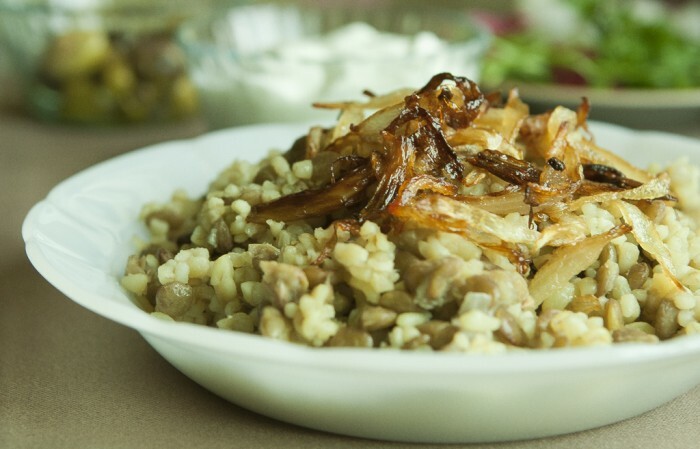 Mainly made of rice and lentils, mjaddara can be also made of coarse bulgur instead of rice as in nothern area of Palestine, Syria and Lebanon. 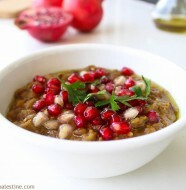 The easy recipe and the delicious taste of mjaddara are what make it very popular as a main or a side dish. A plate of mjaddara cannot be complete without crispy fried onions on the top, served with fresh yogurt or fresh salad of tomatoes and cucumber. 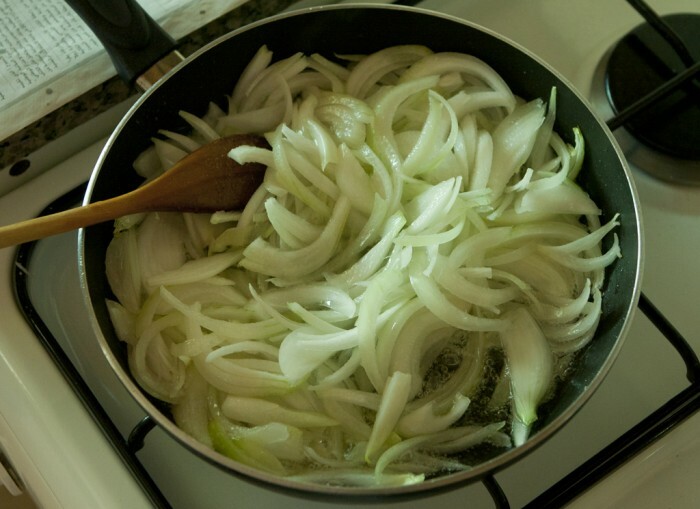 In a large pot, sauté 1 finely chopped onion with olive oil for 2 minutes until softened. 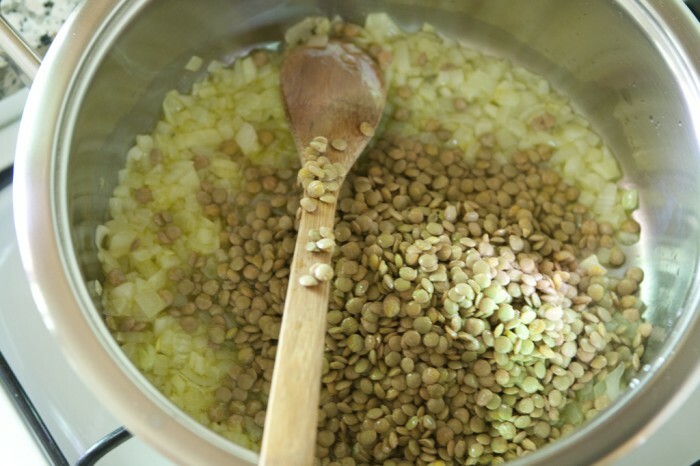 Add rinsed lentils and stir with onion for a minute. Add 4 cups of water and cover the pot. Leave it over medium heat for about half an hour until cooked. 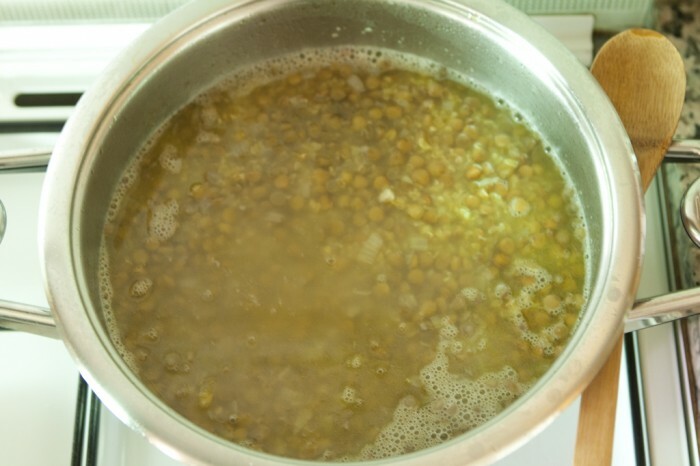 Add rinsed bulgur (or rice), salt, and cumin to the cooked lentils. Make sure that bulgur is completely covered with water (add water if needed). Stir and then leave for 15 to 20 minutes on a low heat until completely cooked. Meanwhile, bring vegetable oil to high heat in a different frying pan. 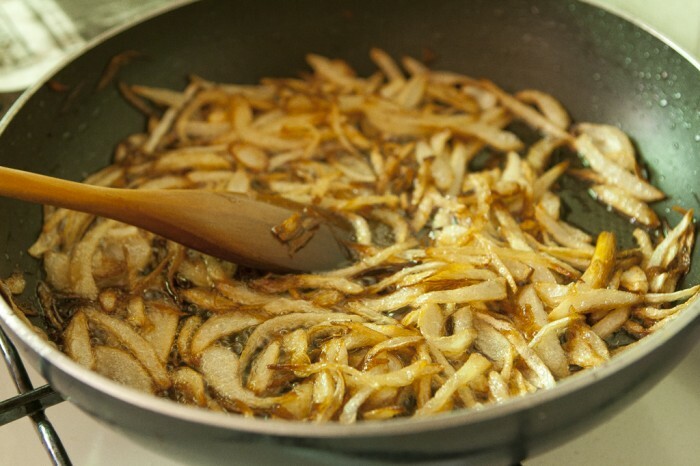 Add 2 sliced onion and keep frequent stirring until onions become crispy and golden brown. Pour bulgur and lentils in serving plate. Add fried onions on the top. Serve hot with fresh yogurt or salad on the side. 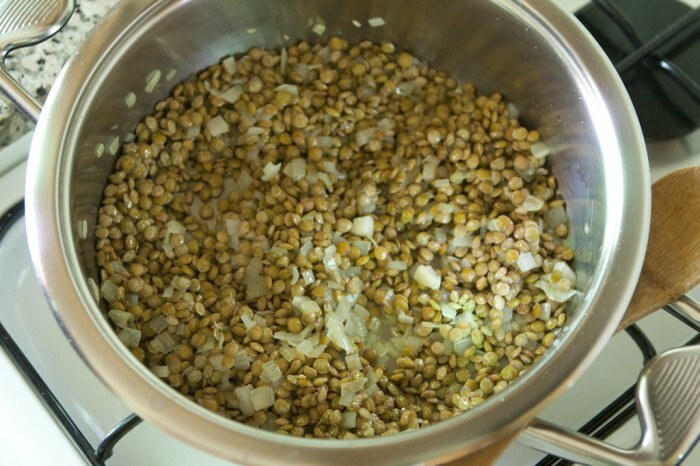 9 Comments on "Bulgur with Lentils (Mjaddara)"
This was amazing! 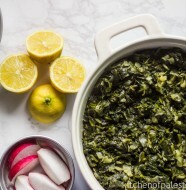 One of my favorite dishes… I made this for a middle eastern feast last week and we all loved it. Thank you!! 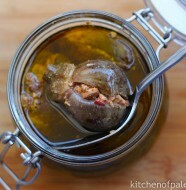 It would be great if you could share with me some pictures of upcoming feasts.. I made this for the very first time today and it reminded me of exactly the same taste of my mother. It has been at least ten years since I ate mjudarra. Thank you, and your mom, from the bottom of my heart. Saad, I’m so happy reading your message. It made my day..
We made this last Christmas for a Palestinian friend. It was delicious. We want to make it again but don’t have any bulgur. We do have a package of freekah (roasted green wheat) – would this be a good substitute for the bulgur?